We like to keep our readers and clients informed of any scams that can cost them money, their personal information, mess up their credit rating or get them deeper into debt. Today we bring you a scam that's hitting consumers in Garner and other nearby areas including Raleigh, Apex and Fuquay-Varina. Attorney General Roy Cooper announced in May that his office has obtained a court order to stop a local computer shop from taking advantage of customers. The business to avoid (according to Cooper) is Raleigh Geeks – also known as Caveman Computers, ProTech Computers and Fuquay Computer Center. North Carolina AG Cooper filed a lawsuit against Raleigh Geeks (and all its other names) after 24 consumer complaints had reached his office accusing the computer repair biz of misleading customers about repairs and failing to give customers back their computers after repairs were made. The lawsuit seeks a permanent ban against the Garner firm for deceptive practices engaged in by the owners and managers, refunds for scammed consumers, return of computers to all clients and any applicable civil penalties. Owners and managers including Steven Leo, Garret Foster and Timothy Staie were specifically accused by Cooper of taking upfront payments, then not completing work or not completing it in the promised time frame. Consumer complaints to Raleigh Geeks were either ignored or they were stalled and the work was still not performed. 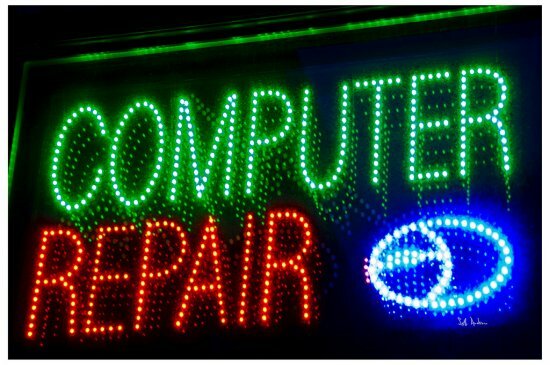 Many consumers found that their computers were worse after the computer shop “repaired” them and some were even given back different computers than they had turned in for repair and the company lied to customers and insisted it was the original computer. If you need a repair on your computer, car or any other type of service work done, there are steps you should take to minimize the chances of being ripped off. First, check out the provider before you contract with them. Check them out on the local Better Business Bureau website and also on Yelp to check for unsatisfactory customer reviews – Raleigh Geeks is poorly rated on both reviews. Also, don't prepay. You should only pay once you are sure the promised repairs have been made. If you drop off an item for repair – like your laptop or desktop – turn it on at the shop before paying to check it out and make sure it is working properly and the repairs are complete. If it's your car, crank it and insist that you get a test drive with the mechanic before you pay. If it's an item at your home – A/C unit, dishwasher, etc – give it a try before you pay and the repair person leaves. Also, it's best to pay by credit card rather than cash or check because if the repairs aren't done properly, you can dispute the transaction with your card issuer. If you are deep in debt and are looking for a solution to get a financial fresh start, contact the law offices of John T Orcutt for a free consultation at our Garner office or any of our other convenient locations.